Let’s start with the facts, studies have found bullying occurs once every seven minutes on the playground and once every 25 minutes in the classroom (www.bullyingcanada.ca). Through awareness campaigns like Pink Shirt Day, our Edmonton community continues to take a powerful stand against bullying. This is an issue close to my heart and I would love for you to join the pink shirt revolution across Canada and especially here in Edmonton. London Drugs is proud to support the Boys & Girls Clubs Big Brothers Big Sisters of Edmonton & Area as the official retailer of the only official Pink Shirt Day t-shirt. 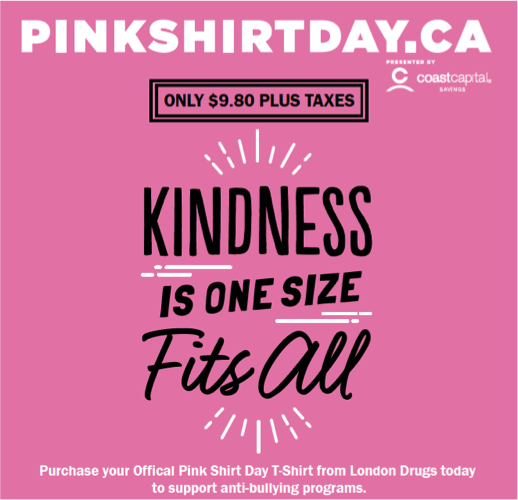 The theme of this year’s t-shirt is ‘Kindness is One Size Fits All” and is now available in both adult and youth sizes at London Drugs in the Capital Region at a cost of $9.80 plus applicable taxes. Proceeds from the sale of the shirts supports Boys & Girls Clubs Big Brothers Big Sisters of Edmonton & Area. 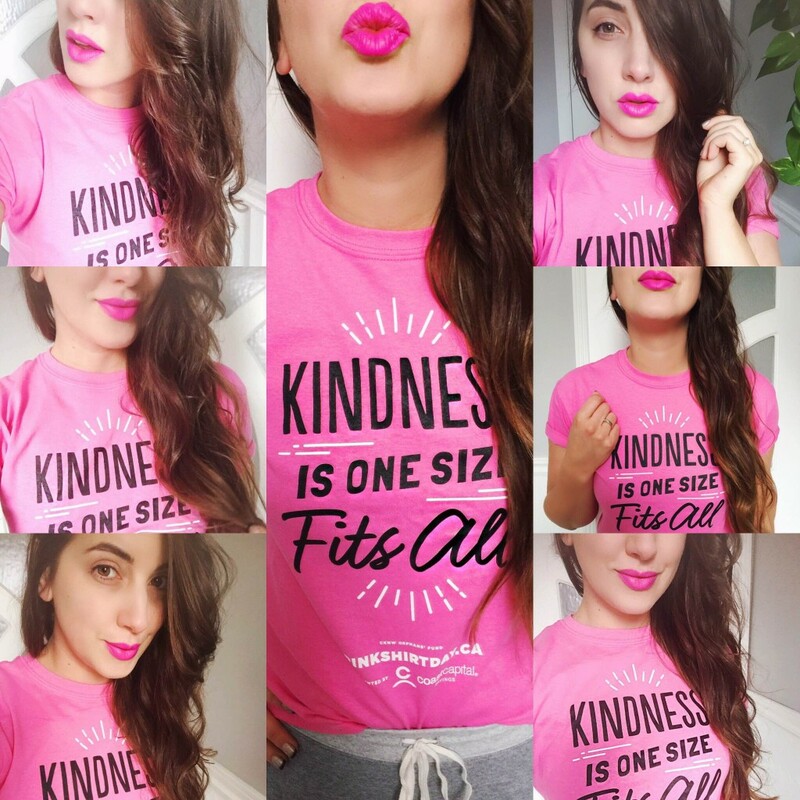 1) Purchase an official Pink Shirt Day t-shirt at London Drugs to show your support. 2) Challenge your friends and co-workers to show off their pink style with a Pink Shirt Day fashion show. Prizes for best dressed! 3) Get creative with your kids: break out the craft supplies and let them decorate their official Pink Shirt Day t-shirt. 4) Host a “Pink Event” (assembly, classroom event, or anti-bullying rally) at your school or place of work. Offer students or employees incentives to wear pink. 5) Host a pink potluck with pink food and beverages served during lunch. 6) Show your support on social media by sharing photos or by making an anti-bullying pledge using the hashtag #PinkShirtDay and #PinkShirtDayYEG. Join me this week, wear some pink and spread some awareness about this issue! This entry was posted in Causes on February 20, 2016 by admin. Causes || Help Edmonton’s WIN House with Spud! I’m so spud to be an organic food ambassador through Spud.ca. Not only do they promote healthy sustainable eating, they help local organizations too! 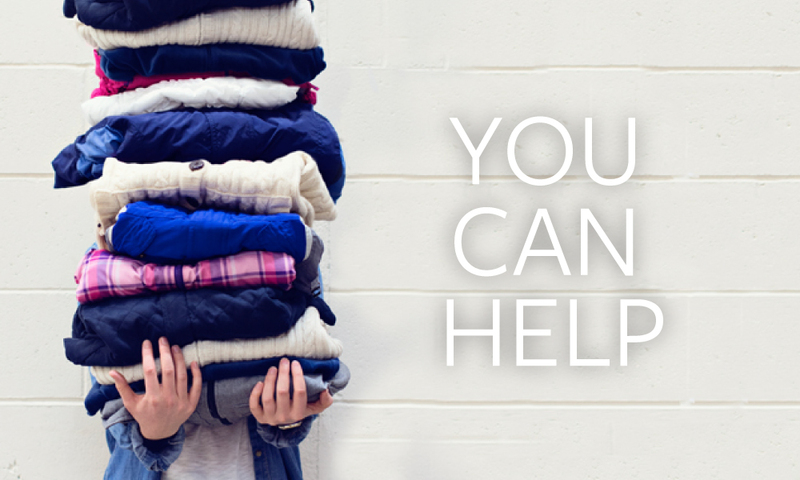 We’ve paired up with Edmonton’s WIN House Women’s Shelter to help bring practical items to those in need.Place your new clothing, pyjamas, feminine hygiene products, underwear, and cosmetics in your SPUD bin between February 15th – March 15th, and we’ll donate them to support our community. This entry was posted in Causes, Lifestyle on February 19, 2016 by admin.